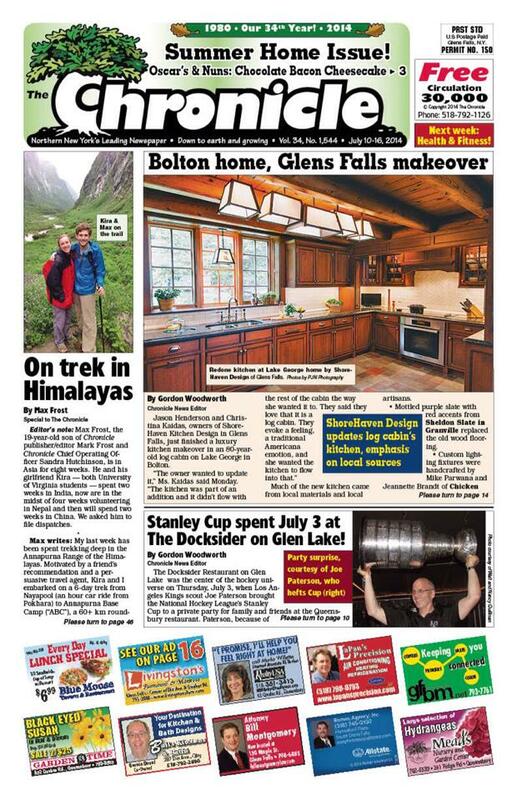 The Glens Falls Chronicle‘s Summer Home Issue came out earlier in July and we were delighted to find that our Lake George log cabin kitchen remodel made the cover. The feature showcased the completed kitchen project and highlighted our use of local sources. Needless to say, our coffee and newspaper ritual was extra special that day!